Lavender (Lavandula): Visitors will often recognize this herb’s soft, purple flowers and many will welcome the chance to smell it. 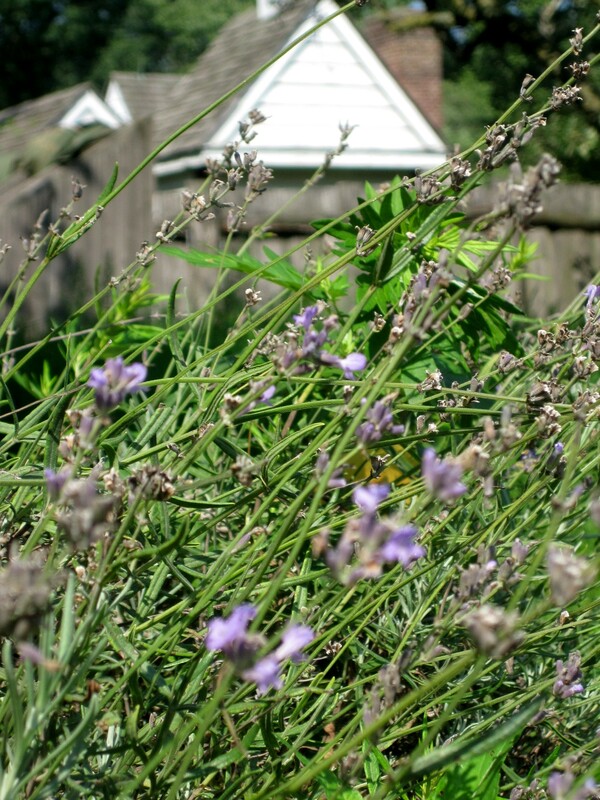 Colonists also enjoyed lavender’s scent and used it as a perfume for clothing. They also recognized the value of aromatherapy. Lavender’s aroma was used to ease headaches and “giddiness.” The plant’s flowers, leaves, and seeds were also consumed to ward off fainting and joint pain.